Following yet another court challenge by the Human Rights Law Centre (HRLC) and a third court decision that has declared it was unlawful, the Victorian Government has finally responded to public pressure and transferred all children who were being held in Barwon adult prison. Children as young as 15 had been held in Victoria’s maximum security adult prison, some since November last year. This was a violation of children’s human rights. Not only are the facilities completely inappropriate for children, many were subjected to 23 hours a day of isolation in solitary confinement and all were denied adequate access to education and family visits. Despite one settled court case and two further cases that found holding children at Barwon was unlawful, the Victorian government continued to keep children there. A fourth court case commenced on 3 April 2017 and the decision was handed down on Thursday 11 May 2017. The Supreme Court found that children’s human rights were being violated and that the children must be removed from Barwon prison. This time, the government finally acted on the court’s ruling and children were transferred out of Barwon on Friday 12 May 2017. Since early 2017, Amnesty supporters in Victoria have been emailing and calling members of parliament to demand that they get kids out of Barwon. 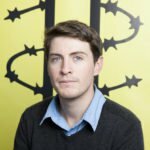 We joined the Human Rights Law Centre at a press conference when the new court challenge was filed, and Amnesty activists held a rally outside the court as the case was heard. Around 15,000 supporters signed an online email action calling on Victorian Premier Daniel Andrews to get #KidsOutofBarwon. We partnered with a broad coalition of other organisations, including the Victorian Aboriginal Legal Service and Fitzroy Community Legal Centre, to make it clear to the Victorian government that an adult prison is no place for kids. The Victorian government had been holding children at Barwon, a maximum security adult prison, since November 2016 — some have been as young as 15 years old and there were at least 10 children there at the commencement of the court case. “What I saw was fifteen staff members really over the top, intimidating and threatening one child in really tight handcuffs…sort of reading the riot act from what I could tell. Many of the children were moved there from the Parkville Youth Detention Centre following disturbances there, even though not all of the children who were moved had participated in the disturbances. They do not include any Indigenous children, as the Government agreed not to transfer these children as part of the settlement of a legal case brought by the Victorian Aboriginal Legal Service. Prior to this court case, housing children in Barwon Prison had already been deemed unlawful by both the Victorian Supreme Court and Victorian Court of Appeal. It’s also a breach of international law – the Convention on the Rights of the Child says children must not be detained with adults. From Barwon in Victoria to Cleveland in Queensland, from Don Dale in the Northern Territory to Cobham in New South Wales and Banksia Hill in Western Australia, over the past year we have heard story after horrifying story of children being mistreated in our youth justice system. Too often it is Indigenous children who are the victims of this mistreatment. In 2017, we will fight to ensure that the Prime Minister finally shows national leadership and works with the states and territories to develop a long term plan to fix the broken youth justice system in Australia. We will ensure that, as a country, we are doing what we can to ensure children aren’t being locked up in the first place. And when, as a last resort, a child spends some time in a place of detention, we will make sure they are nurtured and rehabilitated, not forced further into the labyrinth of the criminal justice system. Together, we can secure a better future for Indigenous kids. Join our movement and together, we can make history.